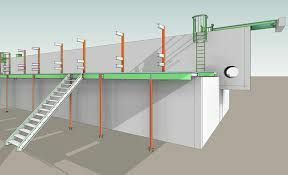 Most modern construction for factories and commercial building are now utilising precast concrete tilt panels. Its a great way to speed up the building process and is definitely a growing industry. We use CAD programs to give you all the details for drafting and working drawings for construction. Our Concrete drafting detailing skills go hand in hand with steel our detailing skills. Having the one company doing both really speeds up the drafting time for your shop drawings. Bring your architectural drawings along and let us sit down together and design a building package your requirements. Ideally you will have a site that complies with councils planning requirements. With an understanding of your requirements we can draw up a preliminary plan sufficient to be able to provide cost estimates.